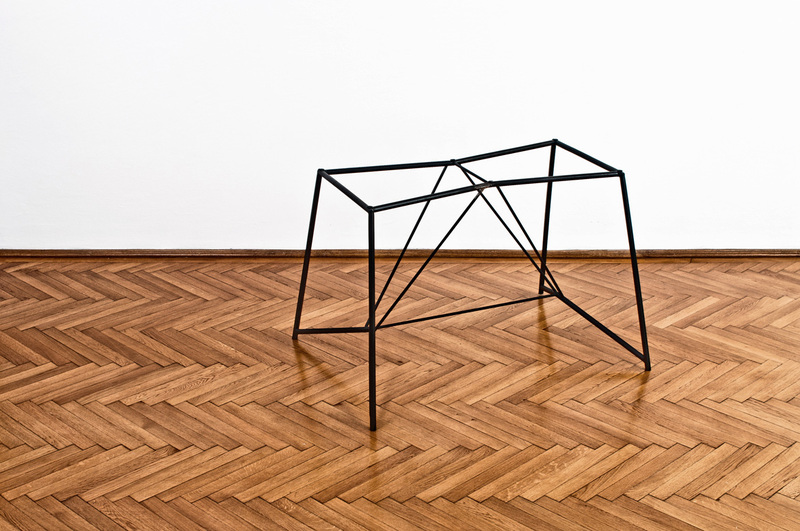 The Luxus is one of three design collections presented in the exhibition, “Stories from Central Europe”, which was curated in response to the 2011 Budapest Design Week (4 to 30 October 2011). 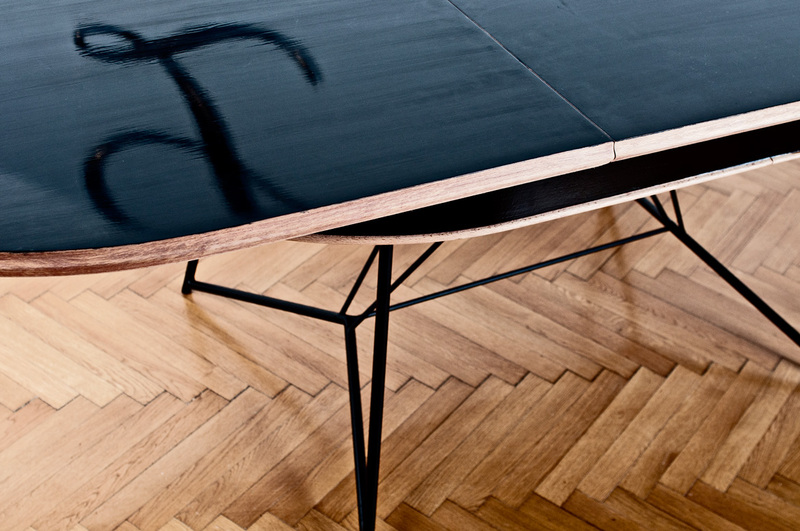 The former dining room of Blood Mountain villa presents The Luxus furniture range. 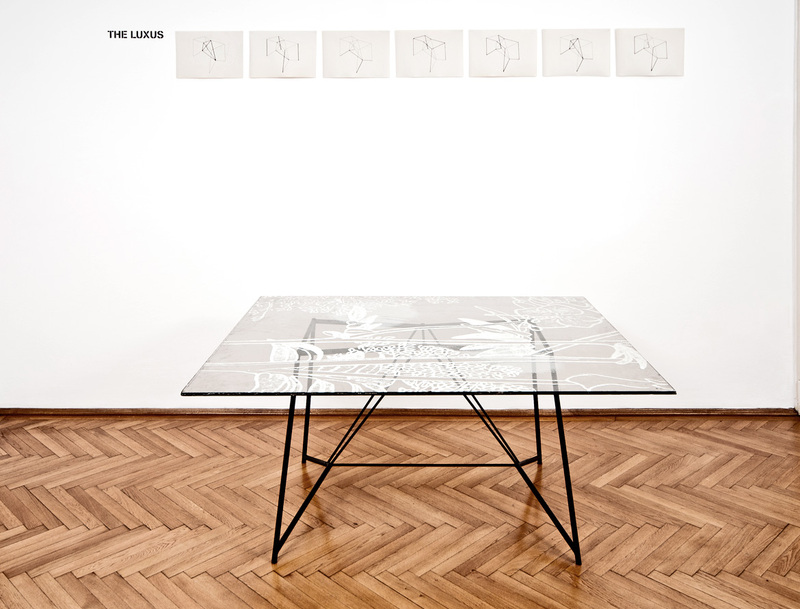 The namesake object is a transparent glass piece with silver leaf detailing originally conceived as the wall decoration of Budapest’s most prominent department store during the Austro Hungarian Monarchy, called The Luxus. Completed in 1911, the opulence and exclusivity of Luxus matched the appeal of its counterparts, Harrods in London and Galleries Lafayette in Paris, and enjoyed Budapest’s appeal as the ‘Paris of the East’. Its design also reflects Budapest’s affinity with Vienna’s creative zeitgeist of the early 1900s, namely the Wienner Werkstätte, which was responsible for the production of the Secession building and for inspiring the opulent panels of Gustav Klimt. Luxus’ original interior was first re-appropriated in the 1950s, when the socio-political climate demanded a more subdued, modern interior; and on several occasions since 1989 as contemporary developers and retail operators opt for a more contemporary aesthetic. With the simple gesture of turning the panel from a vertical and predominantly decorative purpose to a horizontal and functional position, the glass detail here becomes a table surface. Married with a simple custom-made steel leg, it regains its original splendour in a contemporary setting. The story of Luxus is commonplace in Central Europe, where socio-political circumstances changed on many occasions during the 20th Century. By consequence, the changing cultural climate also affected the fate of family heirlooms. 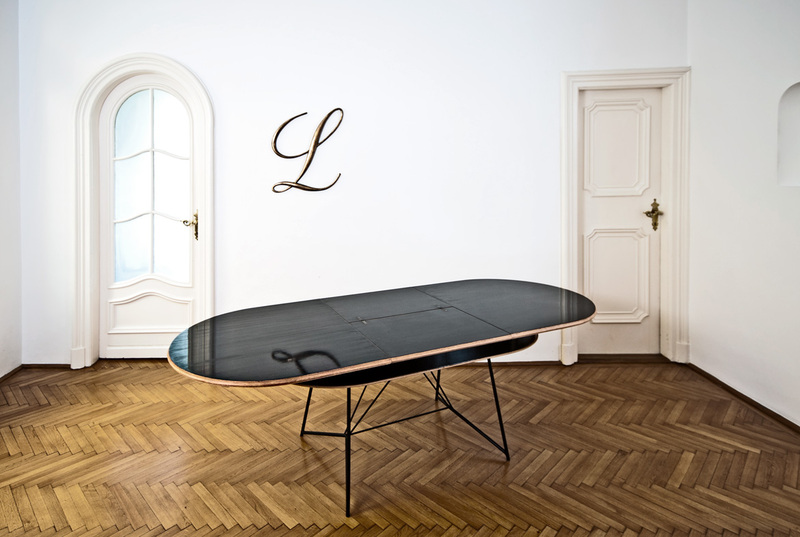 To commemorate a subsequent chapter in Hungary’s history and to highlight the flexibility of the new steel leg system, a socialist era family dining table is retro-fitted with the same leg unit. Reworked from a high-gloss polyurethane finish and stained timber appearance to a more subtle play between black finishes and a shade of natural tan peel; its former impression as a ‘comrades chic’ object is replaced by the understated simplicity of the Bauhaus and post-war Danish design. 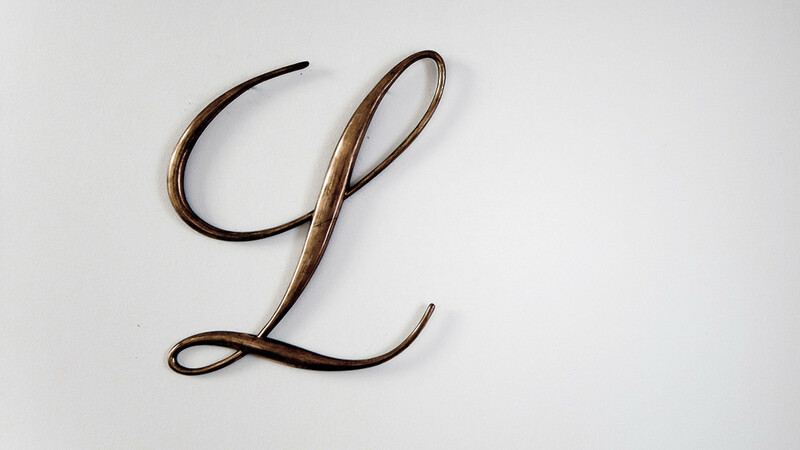 The collection is completed with a study on the design possibilities of the table leg and the original street signage of the Luxus department store: a stylised letter “L” in bronze.